This is the second request I got from a coworker that wanted me to draw her daughters, This was a bit more difficult to do because the quality of the reference image but I did the best I could with it. 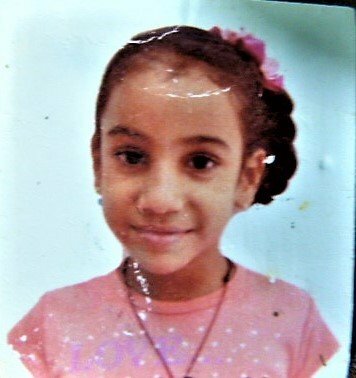 she told me this girl is the youngest of the sisters and that she loves art and when she saw her portrait she was very happy eventhough she is only 8 years old. Here is the photography she handled me to draw. FOLLOW | |UPVOTE | RESTEEM | COMMENT. It's nice when people from work ask you to draw for them. A word will spread and who knows who will ask you next.. I'm sure your colleague loved the portrait and her daughter loved it too! Thank you for sharing and have a great weekend! Excellent work, once again. Your portraits are coming out well! Very well done! Give us more! I like quality contents and I'm gonna follow you! 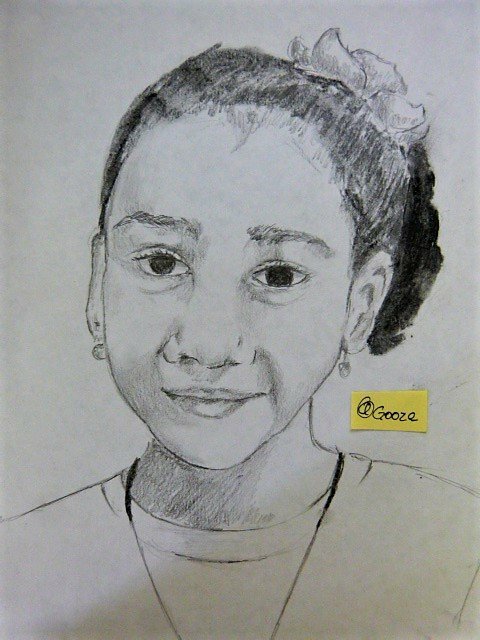 Another pretty portrait, @gooze :) She looks so adorable in your picture, you captured her smile nicely !